Start on the coast at Manorbier, before heading to the sands of Barafundle Bay. Drive on to Pembroke before turning inland towards and crossing the estuary en route to Milford Haven. Return inland towards Haverfordwest and Picton before looping back out to Martin’s Haven and tracking the coast to St. David’s. From a small sheltered sandy beach, rock pools, a hill top medieval castle, a Norman church, stunning scenery, a Neolithic burial mound known as Kings Quoit and a pub and tea room Manorbier crams everything in, to create a perfect package. One of the best beaches in Wales. The golden sands backed by headlands dunes and pine trees makes the un-commercialised beach feel intimate and provides great views over the crystal clear waters. 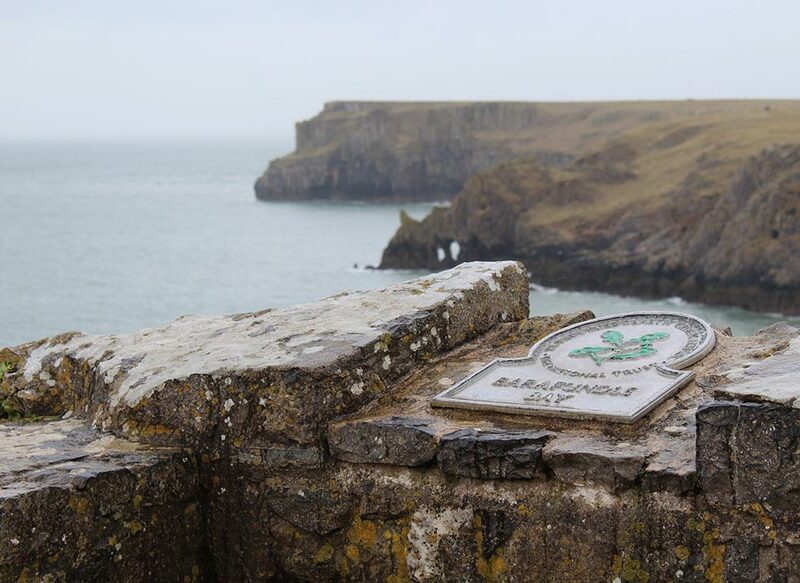 Starting from the village of Bosherston you can walk past the National Trust managed lily ponds, look at the 3,000 year old remains of Fishpond camp or the small Broad Haven beach. Lilies are at their best in June / July but you make see plenty of wildlife at all times of the year. Nearby St Govan’s chapel appears out of the rocks. Sea erosion of the Stack Rocks cliffs has created an arch into the sea that is dramatic a view as you can find, but hurry as erosion is continuing. 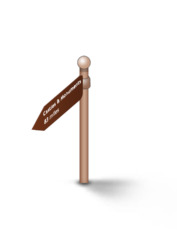 The whole area provides some excellent walking trails. A great tourist destination town, the old town is surrounded by town walls and is dominated by its magnificent and well preserved Norman castle. The Tudor and Georgian buildings provide a back drop to the bustle of the town or the quiet of the Mill Pond and nearby ruins of Monkton’s Benedictine Priory. Sitting on the banks of one of the largest deep-water harbours in the world the former commercial port has become a pleasure marina. The original dockside is now the Milford Waterfront shopping and eating area with the old customs house housing the Heritage and Maritime museum. This ancient and picturesque market town, once the county town of Pembrokeshire, stands on the banks of the River Cleddau and is home to its splendid 13th century castle. The many river bridges allow easy access to explore the narrow streets. 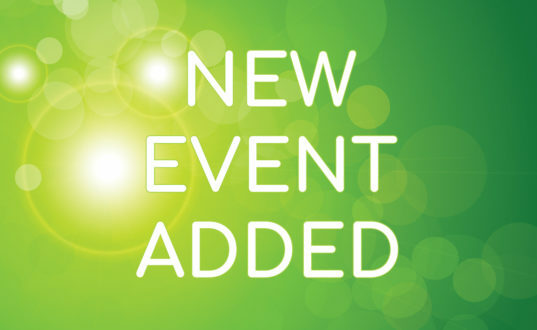 A former castle transformed into a fabulous stately home combines with 40 acres of informal woodland walks and more formal designs including the walled garden makes this a great day out. 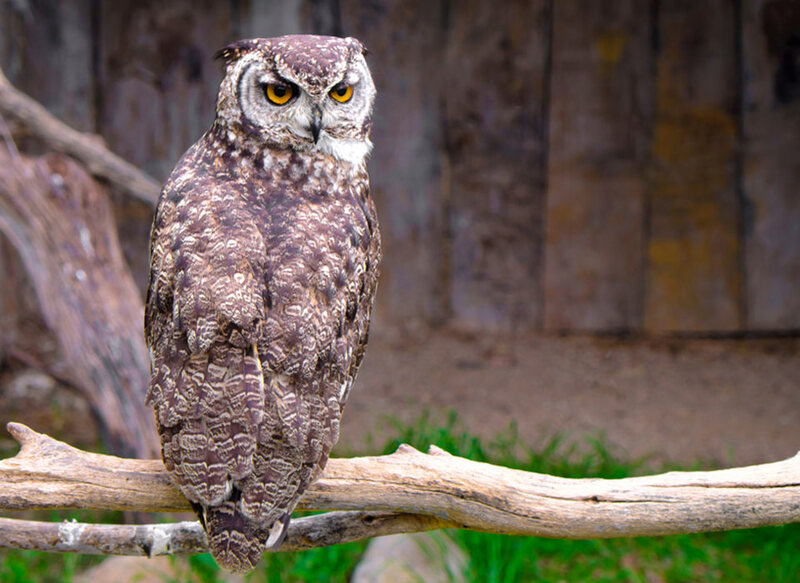 The Secret Owl garden allows visitors the chance to get up close and personal with these fantastic birds. The small pebble beach is a jumping off point for the 15 minute ferry ride to land on Skomer Island and the chance to see its variety of bird life. This is also the jumping off point to see some of the wildlife on other islands like Stokholm from the small boats used. After the beauty of the Pembrokeshire Coast National Park this small city is a hidden jewel. Its Cathedral and Bishops Palace ruins nestle below what is really a small village and its proximity to the rugged coastline, Porthclais Harbour and lifeboat station make it a destination to explore. 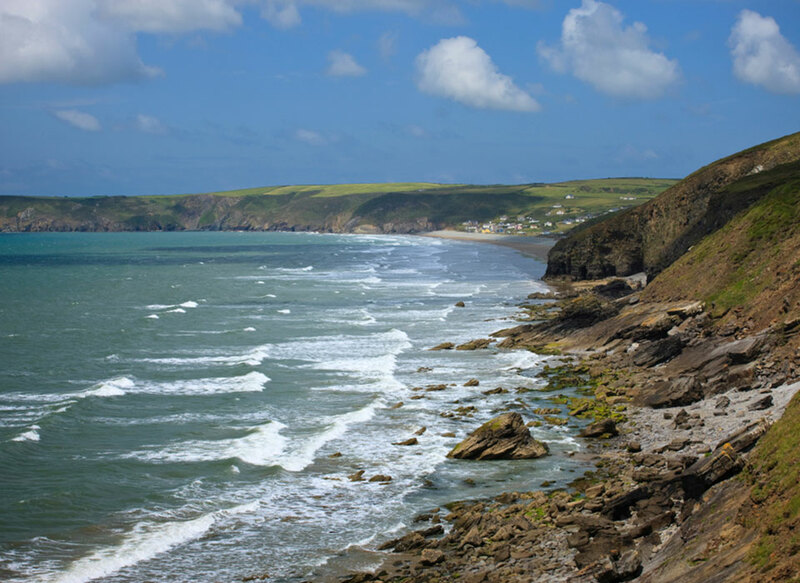 Manorbier combines lovely scenery, a sandy beach, rock pools and a clifftop medieval castle and is a foretaste of what is to come as you explore this part of Pembrokeshire. On to Barafundle Beach – with the sun shining you may feel you are somewhere in the Caribbean. From Bosherton there is a lovely walk around the lily ponds, Stackpole estate and then the natural rocky arch jutting into the sea that is the Green Bridge of Wales beckons. Moving inland to the charming walled town of Pembroke and its imposing castle. Milford Haven to is one of the largest natural harbours in the world. 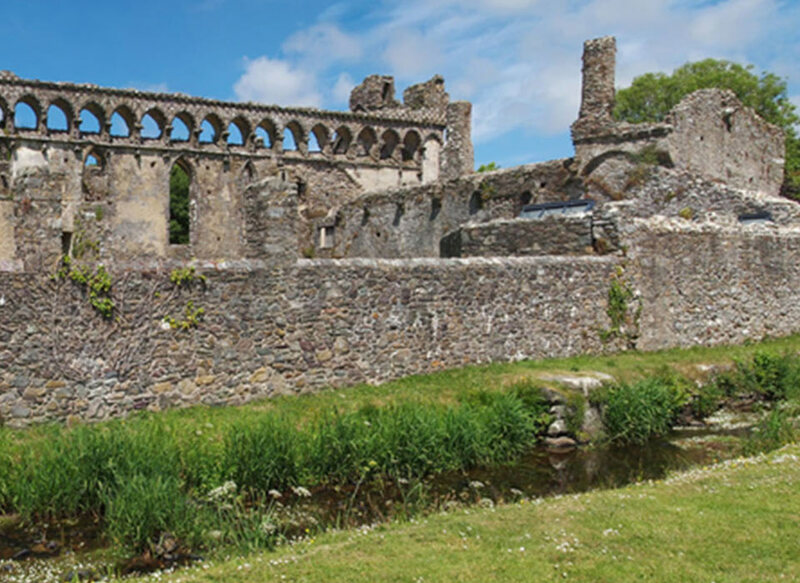 Travelling inland to castles at Haverfordwest, 13th century, the fine example of a motte and bailey Wiston Castle, 12th century and the 13th century Picton Castle transformed to a stately home. Head to the coast at Martins Haven and its small rocky shore also the departure point for the ferry to the island of Skomer and its colonies of razorbills, puffins, and manx shearwaters. 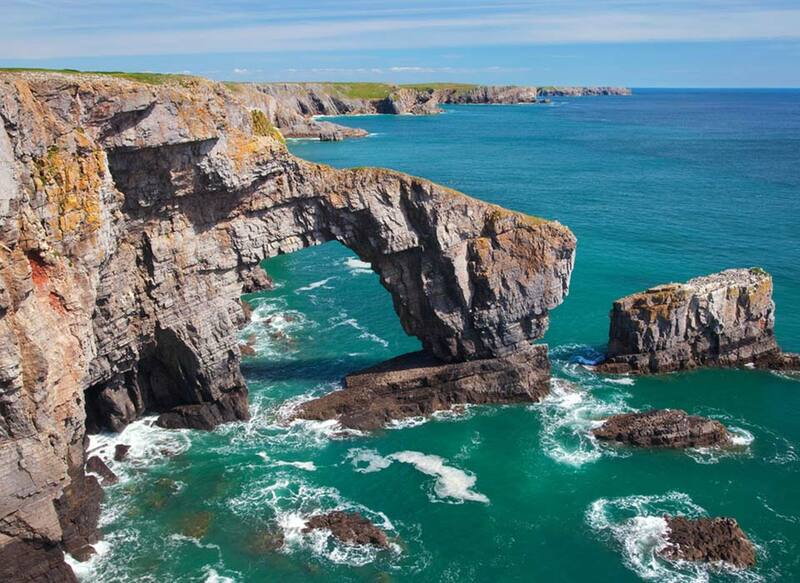 Travel on to St David’s the exploring wonderful scenery of the Pembrokeshire Coast National Park. At St David’s visit the ruins of the Bishops Palace and the 12th century Cathedral. The area has an abundance of castles set in commanding scenery from Pembroke in the centre of the town to Manorbier on the sea cliffs. St Govan’s chapel near Bosherston is literally perched into the cliffs whilst St Davids Cathedral is partially hidden below the town. Rocky coastline, none more dramatic than the Green Bridge of Wales, deserted sandy beaches, windswept dunes and heathland, and small harbours with well-built breakwaters against the winter tides, like Porthgain, all await the visitor. 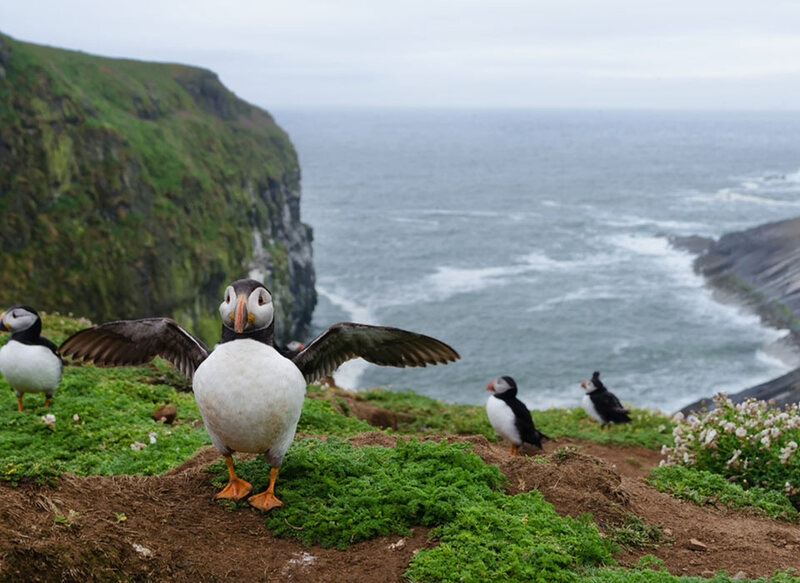 Whilst wildflowers carpet the hedgerows, moorland and wooded valleys the offshore islands like Skomer and rocky headlands hiding small coves make this area important for birds and sea-life. Whether it is Atlantic grey seal, or the puffin and gannet colonies the numbers are substantial.